With a little bit of help from our friends at Green RV we are making the transition from being campers to caravanners. We have road tested a couple of different vans so far and we already know that we love ‘van life’. So I thought I would share our thoughts with you on what we’ve learnt in our first weeks of caravanning. Caravanning is a much simpler way of life. We have both felt so relaxed because we haven’t felt the need to rush anywhere. Because we can free camp there is no panic about getting to the next town to find somewhere to stay for the night. On the days that we were travelling we were usually pulled up by about 3.30pm or 4.00 so plenty of time to enjoy happy hour. We loved how simple life becomes in a van. We don’t own a massive house. It’s just your standard three bedroom with a small office and a lounge room and kitchen/dining room area. But there are four people living in it and there always seems to be housework that needs doing. Dishes, washing, vacuuming! It all seems to pile up! With just the two of us in the van it took me about half an hour to completely tidy the van, including making the bed. It was really nice to be able to ‘come home’ at the end of a day exploring to a still clean and tidy house! It is just so easy to keep a small space clean and tidy. I honestly thought that Brenden and I would be bumping into each other all the time in a small space but we weren’t. We both found it really easy to move around in the van. Some nights we sat inside to eat but we still had plenty of room to move. Even the shower didn’t bother me – I think it was probably bigger than the shower in my first flat in Sydney! After the camper trailer, which used to take about an hour to set up, the caravan is a breeze. Once we were on site, Brenden would get the outside set up and I would do the inside. I would open the van up, switch the fridge over from DC and open a few windows. Whilst I was doing this Brenden would un-hitch, put the legs down and connect the hose up. I would then get the chairs out and set up and pretty soon after that we would be sitting down with a beer! We found preparing meals really easy. Our new Weber Baby Q made it really easy to prepare meals. We both like to eat healthily most of the time and having a small-scale kitchen doesn’t mean that you have to compromise on your food. 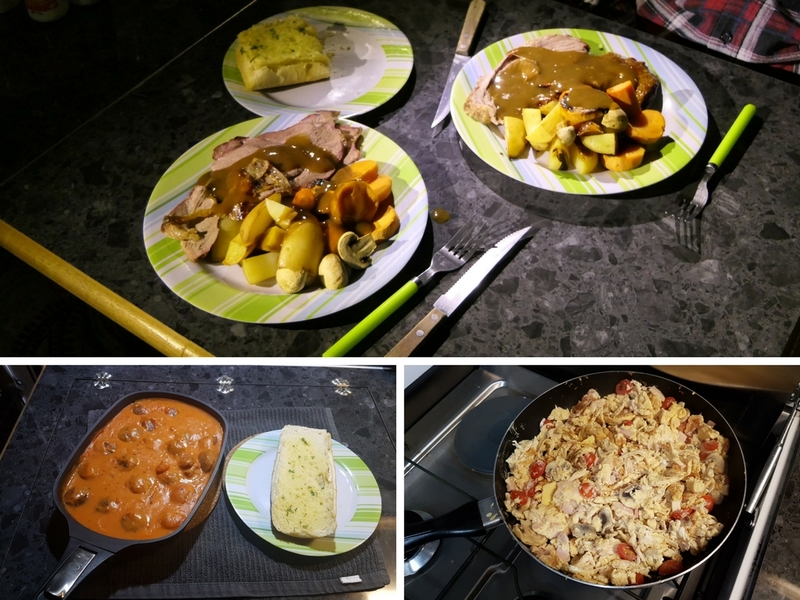 We cooked lots of meals in it including Roast Lamb and Baked Vegies and Meatballs and Pasta. Other nights we had steak and vegies or salad. I also made our favourite ‘Eggs Depends’ to use up some leftovers. We found that it was easy to eat really well. We can really see why so many people are adopting this lifestyle and it’s certainly one that we can’t wait to take on full time. 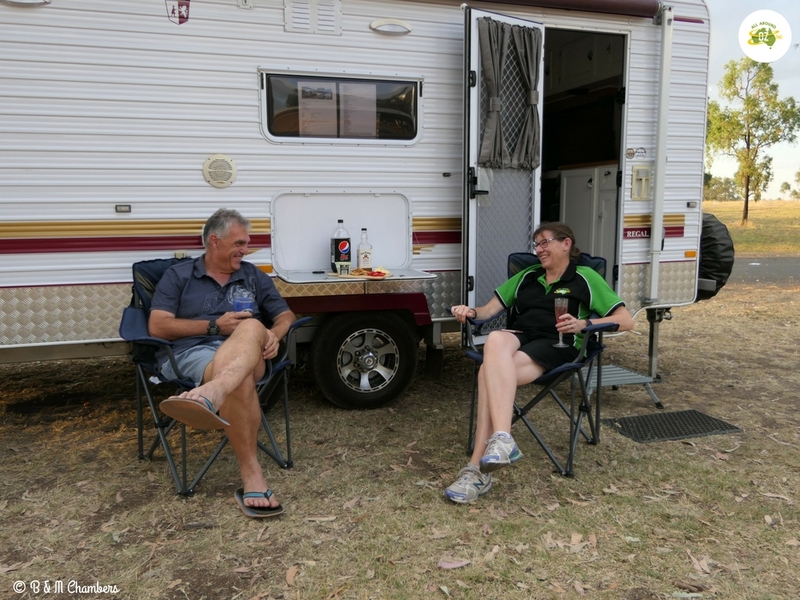 Yes a routine is a good idea….we’ve always had that since our camper trailer days. Thank you for your caravan reviews you have inspired us… we ended up purchasing a JB Caravan. That’s awesome Craig….maybe we will see you on the road somewhere! Our camper trailer was awesome when the kids were younger and we were just doing shorter trips. 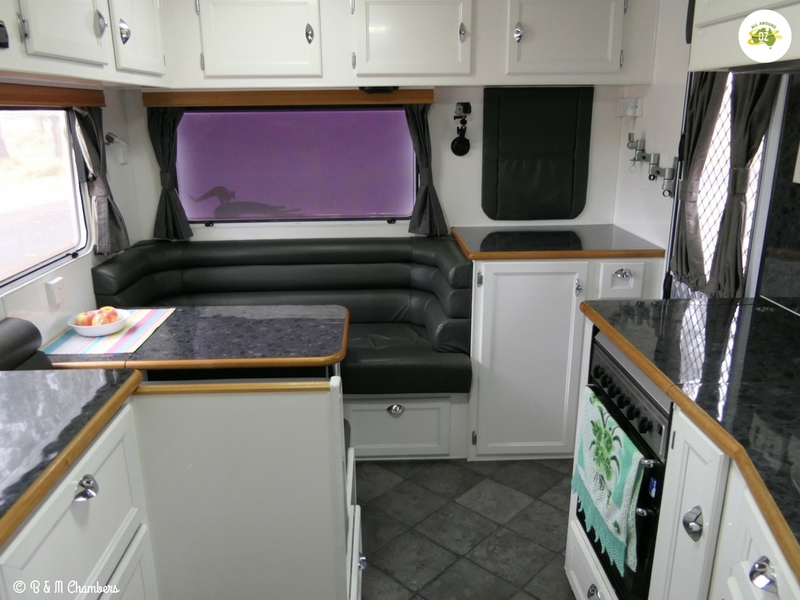 A caravan will make life so much easier when we hit the road full time. It is a wonderful fancy free lifestyle. It makes you simplify your life in a lot of ways with less material possessions and clutter. I knew you would love it! We can’t wait until we are doing it full time! Better buy one if it cuts down on the housework!